I received this mail from one of our community members. And I started searching for more information! 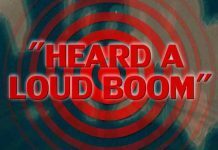 “Ask Jesse Ventura, he’s already exposed the “Oz Ark” survival city that’s being built in the caverns and the miles and miles of tunnels being constructed and access points being sealed off from the public, along with a humongous blast-proof command post. Check the significance of the allegories to the characters in “The Wizard of OZ” as they relate to the religion of Kabbalah, mix in a bit of the known use of anagrams and the “restricted” language of Esperanto and you’ll learn that there has been stuff happening underground for a long, long time in that region. Kansas actually means K (kabbalah) SANAS which means “secret” in Esperanto and Arkansas means something similar with a salute to Ra himself. The entire Ozark mountain range was named as the result of discovering the connected caverns that could serve as an “ark” to survive the Apocalypse as described in the book of Revelation and is only one of a number of similar “arks” scattered throughout the world that could equally act as central command. I wouldn’t doubt it if they’ve completed a huge underground transit system that extends as far as Texas or even an entire network across the country considering the availability of nuclear powered tunnelers that actually melt the bedrock to reinforce the walls as it “digs” up to 5 miles in a single day. I neglected to mention that the tunneler diameter is large enough to fit two sets of train tracks and is operated by none other than the USAF. After reading this mail, I search on google and found on Info Wars that the US Air Force was planning to build a huge network of underground subway tunnels in order to shuttle around nuclear missiles. This project requires a vast underground subway-like network of pathways to shuttle new missiles around to multiple launch portals. 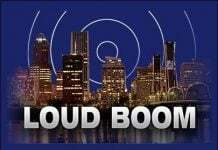 Launch portals would be stationed at regular intervals along the subway, allowing the unmanned transporters to be raised up and the missile to be fired in a “doomsday scenario”. Each tunnel would be dedicated to one single missile and launch system. The mobile silo system would have to be capable of withstanding ground shock levels and to permit adequate ‘rattle space’ in the event of an enemy attack. Multiple study contracts should be awarded already next month by the Air Force Nuclear Weapons Center — each worth as much as $3 million — to expand the ground-based ICBM fleet from 2025 to 2075. So this network of underground subway tunnel has to be very deep to be protected! Have they actually already started to build this network? Or Are they trying to connect already existing Deep Underground Military Bases together? This drilling could indeed produce small earthquakes, earthquake booms and distabilize the ground to create sinkholes. 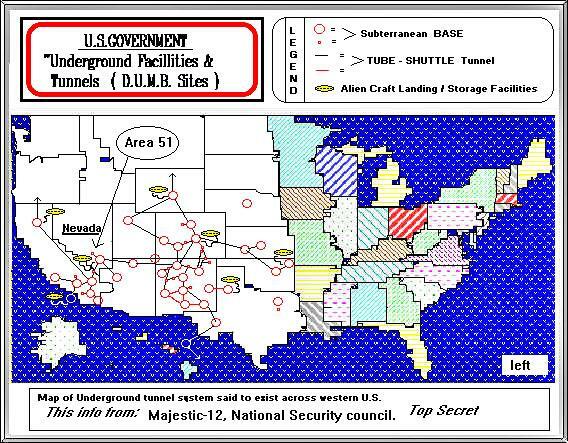 You indeed probably know that in the USA, you have approximately around 100 Deep Underground Military Bases (DUMPS) situated under most major cities, US AFBs, US Navy Bases and US Army Bases, as well as underneath FEMA Military Training Camps and DHS control centers (Look here at a list of almost all Deep Underground Military Bases (DUMBs) in the US.). Almost all of these bases are over 2 miles underground and have diameters ranging from 10 miles up to 30 miles across! These bases are basically large cities underground connected by high-speed magneto-levity trains. 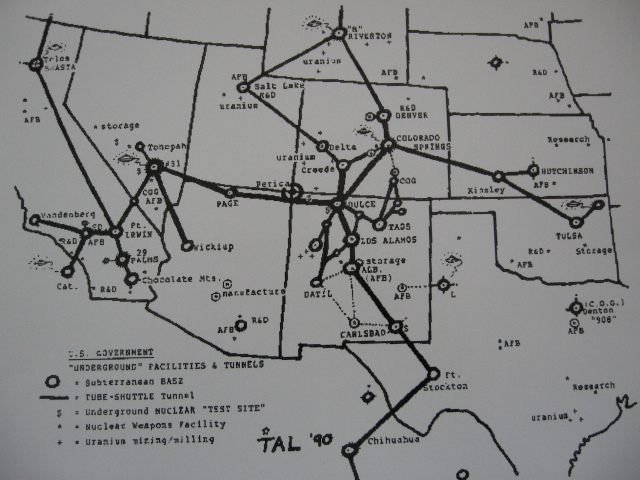 Several books have been written on Deep Underground Military Bases (DUMPS). Richard Souder, a Ph.D. architect, risked his life by talking about this. He is the author of the book, ‘UNDERGROUND BASES & TUNNELS: What is the Government Trying to Hide?. Book about underwater and underground bases and tunnels in us! He worked with a number of government agencies on deep underground military bases. 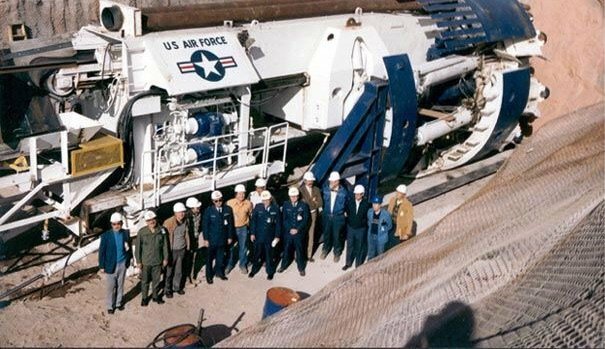 US Military have nuclear powered laser drilling machines that can drill a tunnel seven miles long in one day, i.e. ‘The Subterrene,’ the Los Alamos nuclear-powered tunnel machine that burrows through the rock, deep underground, by heating whatever stone it encounters into molten rock. – Underneath Denver International Airport, which is over 22 miles in diameter and goes down over 8 levels. It’s no coincidence that the CIA relocated the headquarters of its domestic division, which is responsible for operations in the United States, from the CIA’s Langley headquarters to Denver. 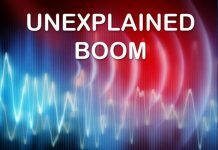 – Dulce Base, in New Mexico. Dulce is a small town in northern New Mexico, located above 7,000 feet on the Jicarilla Apache Indian Reservation. But Dulce has a deep, dark secret. The secret is harbored deep below the brush of Archuleta Mesa. Function: Research of mind related functions, genetic experiments, mind control training and reprograming. The nuclear machines that supposedly would melt a tunnel would not work due to what should be obvious reasons, but there are some pretty fast TBMs in existence, and a patent on a system that would use heat to fracture rock, then remove it mechanically, and then vitrify the sides of the tunnel. Also, while there are many secret underground bases, few if any would be two miles underground due to the heat and pressure at that depth, and the unnecessary expense of going that deep. I’ve written an article on the subject that was published in “Atlantis Rising” magazine.